i use floats on most places, but some places, i use double, when i need to ensure precisity in some parts of the algo. but i suggest you to use 32 bit integers instead, and 64 bit long longs, where it needed. 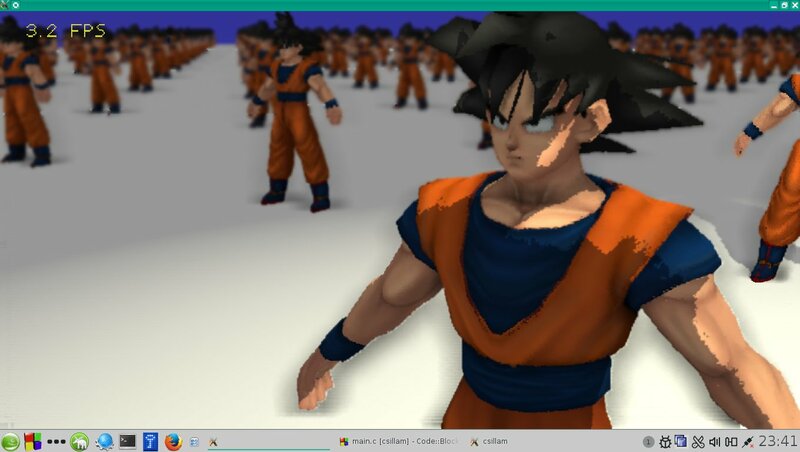 I released a simple benchmark program called GokuBench. It runs on Linux, Android, and Windows. thankyou. also, i compiled the thing on my android cell-phone. however, i not yet have tested the 3d perfornance, the 2d only. but the 3d will be tested soon too. i started to optimize 2d sprite rasterization, becouse it was too slow. the goal is to reach 60% performance gain in typical cases. this is nearly reached. fixed some bugs in the ssao. two component in a vector was bad. also, i made some notable speed improvements in the scene update, but more speed-ups coming soon.